Oh my gosh I am so thrilled right now. I just got back from Wal Mart!!! I unloaded my haul and took a picture first thing. I couldn't wait to share with everyone. I got 2 of everything hoping that maybe I can have some MAJOR candy later on. Tara and I got there at 10:45 and went straight to the crafty isle and there were 2 huge boxes. We didn't know what each had inside but they were Cricut. Score nobody else was there so I parked myself and didn't move. Slowly a few more folks arrived and there was Tara and I and 2 other girls right next to the boxes and you know what curiosity does. Slowly we started tearing the plastic little by little while watching for those nasty folks in the blue shirts. Tear some more, stop til they go by, tear some more, stop til they go by. Finally we got one of the cardboard sides off. We started asking what others were waiting for and handing out carts. Oh the excitement. The 2 Expressions that I wanted were right on top so I stashed them under Tara's coat so no nasty worker wouldn't make me put them back until 12:01. Got all the carts and 2 Expressions in my cart by 11:30 and at 11:45 all you heard through the store was this woosh of the packaging being removed from everything. Tara says lets go now so she pulled the cart with me behind through the store to check out and what do you think? Yep first one in line. We waited for 13 minutes til the registers would allow sale prices. It was so funny. Drove through McDonalds to fuel up and headed home. OK I need to go open my pretty pretty new toy but the problem is I can't decide which one. There is a brand new blog and it sounds like it is going to be such an exciting place to be. 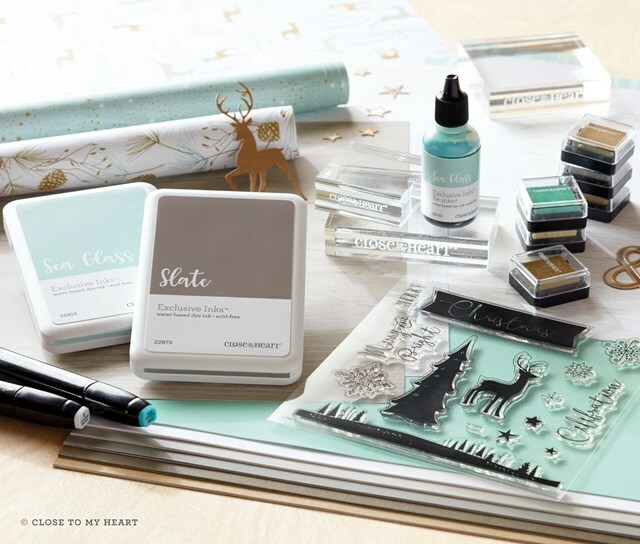 They will be having a Cricut Challenge every Friday starting December 3rd. 1. 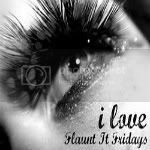 Visit Flaunt It Fridays and become a follower. 3. 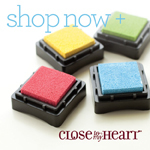 Post their button on your blog to help them spread the word! You have until December 2nd so pop over and enter. You can also meet every one of these 11 creative women. I visited all of their blogs and they are full of such amazing inspiration. This is such a festive page! I used glitter pens on all the fireworks and pop dotted them on. OK so I admit it.... I used glitter pens on EVERYTHING! Come on it's New Year's, the holiday that glitters. I dotted stickles on the party hat and glossy accents on the champagne glasses which I absolutely love. It truly looks like bubbly champagne. These glasses would also look awesome on a wedding page. The design file I used is called January New Years from RS Mobleys Designs. I bought the Year Collection and got the Perpetual Calendar file free. I absolutely adore these 3 little luminaries from RS Mobleys Designs. (Happy ThanksGiving - Turkey Luminary, Thanks - Acorn Luminary, Fall - Pumpkin Luminary) They are cut on Pearlized cardstock which makes them extra shimmery. I didn't have to do anything extra with these cut files because they are beautiful just the way they are. 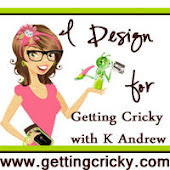 I used the "Happy Thanksgiving" from one of the luminaries to add to an Acorn card from K Andrew Designs. I used my Cri-Kits gel pen to draw the face and colored it in with a Copic multiliner and white gel pen. I also added a few crystals between the words. 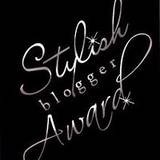 Oh my goodness I can not believe I received another blog award! 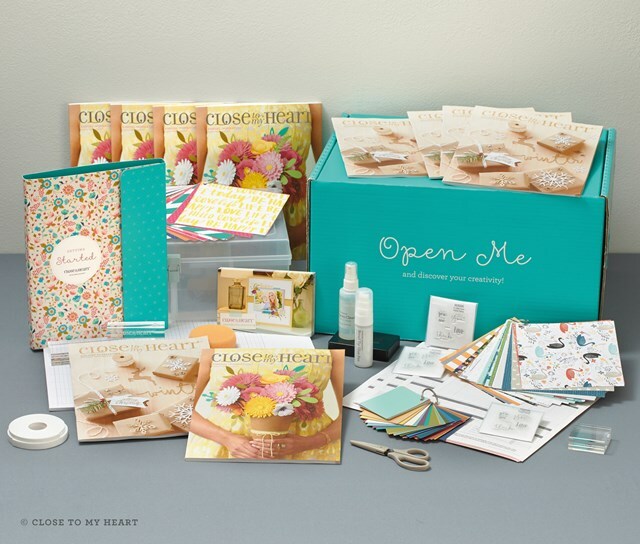 This is so awesome and I want to give a huge thank you to Amanda from "My Scrappin Obsession". 1. Thank the person that gave it to me and link to their blog. THANK YOU AMANDA VERY MUCH!!! 1. I cry when I watch Hallmark commercials. 2. I really like Survivor, Amazing Race and Big Brother. 3. I am a major craft JUNKIE. 5. I spend more $$ on crafts then I do clothes. 6. I would rather do almost any other household chore before cooking. 7. I am majorly obsessive/compulsive about certain things. 8. I would do absolutely anything for my family. 3. Pay it forward to 8 bloggers that you have recently discovered. I made this slider card (my very first) for Emma's Throwback Thursday Challenge and gave it to my mom and dad tonight. I know that I don't say Thank You to them often enough and they are the absolute best, best, best parents in the universe. They are going to be moving in with hubby and me when the contractor finishes our basement. They will pretty much have their own apartment except for sharing the kitchen. Since our daughter and 2 grandkids already live with us we will have 4 generations under the same roof. We are praying that the contractor will finally be finished before the New Year. I used pearls from The Paper Studio, the flower is Paper Bliss Salon "Flower Garden" and the stamps are Fiskars "So Much Thanks/Merci Beaucoup". I used a window punch from Stampin' Up. I am now addicted to slider cards!!! I may have to temporarily abandon my 2 1/2 inch perpetual calendar. I cut all the pieces but some are just too intricate to be cut that small. I have not given up all hope but I want to give this calendar to my mom for Christmas this year so I am now making them 8x8 and they are cutting beautifully. This is a cut file from RSMobleys Designs called December Snowman RM00103. I cut another snowman smaller so that neither of my grandkids feels left out and I will need to cut a baby snowman in June. Their faces are from Peachy Keen Winter Face Assortment PK-520. I used Gelly Roll glitter pens for the snowflakes, tree and December wording. The stitching was done with a white gel pen and Copic multiliner .03. I added Glossy Accents to make an icy lake. The "twinkle" stamp is from Stampology's Love Thing set and the frame is Papertrey Ink fillable frames #8. Our granddaughter turned 3 this week and her mommy turned 24 the day before her. We had a little party at the house on Tuesday but her big party will be on Saturday at Chuck E Cheese. She wanted everything to be Princess because she thinks she is one. I used the Paperdoll Dress Up cartridge to cut the princess and her outfit at 2". Her face of course is from Peachy Keen Stamps Everyday Character Face Assortment. The castle is a Quickutz die that I embossed with the Cuttlebug Tiny Mosaic folder. The Happy Birthday sentiment is from Papertrey Ink's Fillable Frame Set #4 and the frame is from Set #8. The little princess crown on the inside of the invitaiton is from Spare Parts. Yolie just awarded me my very first blog award and I am so excited. It is the "Attitude Award". Thank you so much Yolie, you are the absolute best. I am supposed to list 3 things that make me different from everyone else and nominate 5 blogs. This was so hard but I finally got it together. 2. I am Joan's daughter, Tara's mother, and Bryce, Kylie and baby bear's Oma. 3. I drink soda like it's water. I hope you all like your awards. You also have a chance to qualify for a $5.00 gift certificate so hop over and check it out HERE. 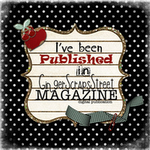 Thank you all for being such great ladies, crafters and bloggers. You are such an awesome inspiration. The first card I made is for a friends birthday. I used a file from Cuttin' Up Designs. I used AR Cena font for the Happy Birthday and inked up the edges with walnut stain Distress Ink by Tim Holtz. The ribbon is Offray GGPinDot that I purchased at WalMart. I embossed the card, to make it look like they are in a field, but I don't remember the name of the folder I used. This Christmas card was made from a Quarterly Membership Club file at Visual Designs by Chris. I added the "Dreaming of a" and outlined with Gelly Roll Glitter Pen. I used white flocking on the tree and some stickles for ornaments. These 3 cards were all made using Provo Craft Disney Cuttlebug dies. The banner is from an Embossing Plus folder and I inked the embossed part with walnut stain Distress Ink. I used a white gel pen to trace Mickey and Minnie and the banner says "Meet Me Under the Mistletoe"